One of the best ways to travel in the city is by means of a comfortable car. So Accord Car rental Bangalore is growing within the city to the extent that it is much easier to get an automobile of your choice and luxury,Here is the car rental tariff for car hire in Bangalore, we have the cheapest tariff for Accord Car rental in Bangalore, we have been providing car rental service from past 15 years and have hundreds of happy customers all round the world , so feel free to book a taxi from us. 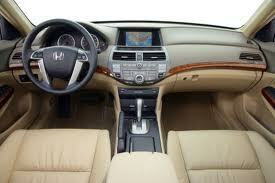 Honda Accord Sedan is a headtuner. It lures with its beautiful and swanky look that adds more style to it. New Honda Accord which is re - designed with more, robust, bold and aggressive look, extra connoting power is more sophisticated and commanding than ever. Honda has always carried the badge of a classy sedan since years. Also the company has proved its presence with the top most cars available in its kitty. Honda Accord with its spacious and roomy interiors not only brings comfort while driving but gives you a feeling of openness even when you are hemmed in traffic disarray. The rear Air Conditioning vents makes the journey more soothing and comfortable. Accord is a highly popular Sports Utility Vehicle that is engrossed with mind-blowing interiors and offers very elegant and impressive interiors to the car with an irresistible look to attract the car lovers in just a glance. The roomy and spacious interiors of the Accord adds glory and luxurious feeling to it and makes you very comfortable with a feel of at home even in the busy traffic crowd. The interior fabric upholstery is available in two colors- black allure and new Tan & Beige option that merges very well with the car’s ambience and complements the car in all respects. Honda New Accord is available with two engine options- the 2.4L, 4 - Cylinder i- VTEC engine and 3.5, V6, SHOC i-VTEC with PGM-Fi fuel system. The former delivers a power of 180PS at 6300 rpm and belts out a top torque of 222 Nm at 4300 rpm. This sedan is mated with 5 speed manual transmission and automatic gearbox. The top end variant of Honda Accord is equipped with 3.5L, V6, i-VTEC engine that produces a max power of 275 PS at 6200 rpm and churns out a peak torque of 339 Nm at 5,000 rpm. The same automatic 5 speed transmission is incorporated in this higher displacement engine. The all new i- VTEC engine in Honda Accord promises better fuel economy with Honda's Variable Cylinder Management Technology. The engine gives superb environmental performance and meets Euro-IV emission levels and is E-10 compliant. 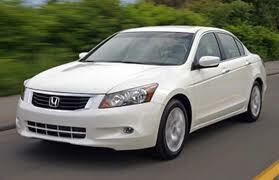 The new looks of Honda Accord 2008 in India is geared towards the E-class proportions. New Honda Accord comes with ultra comfortable cabin features such as advanced audio system with USB slot, tilt and telescopic steering wheel, eight-way power seat adjustment with lumbar support, rear audio controls, rear AC vents and reading lights at the rear. A Tour to India in Accord is one of those experiences that you do not forget anymore,Find the perfect holiday destinations in India and enjoy some relaxing time off from your daily routine! Historical monuments,foggy hill stations, golden deserts, pilgrimage sites, captivating beaches, serene backwaters, rich wildlife and colourful fairs, India is simply exotic and magical (Accord Rental Bangalore). Accord Time and kilometers will be charged from garage to garage. 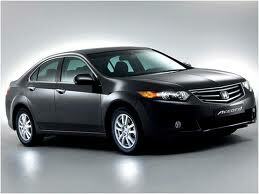 Accord Services for more than four hours will be charged under 80 kilometers and 8 hours. Accord All parking charges, toll taxes, state taxes will be charged extra as per original receipts, in case taxes are paid in advance of any state 1/3rd tax will be charged of actual receipt. Accord Service tax will be charged. Accord Once the vehicle leaves our garage, we will be charging for the same irrespective of being used or not.